I want you to submit a proposal to talk at GopherCon 2019. … and I want you to start now because the Call for Proposals is only open until January 31st! Submit a proposal, you say? Let’s talk a little bit about that. But I Could Never Speak At GopherCon! Yes, you could. All those “superstars” you see up on the stage? They submitted talks through the same form as you do. You can submit, and you can get accepted. In fact, we love new speakers. All things being equal, we tend to prefer new-to-GopherCon speakers over speakers who have already spoken. We really want to see your proposal, but it’s true, you could get rejected. We get many more than spaces available in the program, and we unfortunately have to turn down some awesome proposals. Not all is lost if you don’t get accepted to this conference, though! A proposal isn’t a one-and-done, and if it’s not accepted to GopherCon 2019, it’s far from wasted. I would encourage you to use it as inspiration for other conferences. There are tons of others just for Go alone! Personally, I submit my rejected proposals — and there are a lot of them! — to other conferences, or use them as inspiration for new proposals. Ok, How Can I Make My Proposal Better? There are a lot of articles with tips and tricks for writing a great proposal. @carolynvs — who is on this year’s program committee with me — has some great tips tailored for this year’s conference in her post. There are also tons of other posts on how to write great proposals. There’s no single foolproof formula for writing the “perfect” proposal, but the selection criteria on the CFP page lay out generally what we’re looking for. I’ll add a little bit of detail for each item. We look for talks that are related to Go. 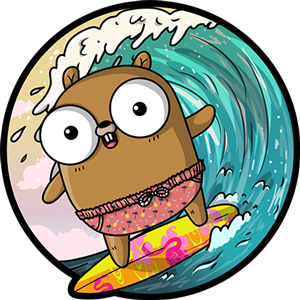 People come to GopherCon to learn about new stuff in the Go ecosystem, pick up new skills, and generally learn about Go and the community. If you’re writing a proposal that you couldn’t write about any other language, technology or community, you’re on the right track. Other the other hand, if you’re writing a proposal where you could swap out Go for another language, it probably won’t be accepted. If you’re writing a proposal that’s not related to programming or technology, it almost certainly won’t be accepted. Show us you’ve thought through what you want to say in your talk. We want to see it in clear, detailed writing. I want to really stress this part. Write down everything you plan to talk about. As long as it’s clear writing, we want to read it. I personally love it when folks write a rough outline of their talk in the proposal. You can do this in the “notes” section of the CFP. As it says in the CFP page, no proposal has ever been rejected because it was too long. In order for us to accept your proposal, we have to know that you know what you’re talking about. So tell us why! It’s easy to talk yourself out of submitting because you don’t feel like you’re an expert. I do it all the time. So tell us clearly what your experience is and how it applies to your talk. Sometimes your experience will be easy to write about in your talk description, but if it doesn’t fit there, make sure to tell us about it in the notes and/or bio section of the CFP. Sometimes I want to talk about everything in my talk. I get so excited about some technology that I want to go into 3 or 4 big things in one talk. But those proposals never get accepted. I said above that we’re looking for clarity and detail, and that means your proposal needs to be focused on a specific topic. The elevator pitch section on the CFP requires that you tell us what you’re going to talk about in 300 characters or less, so if you can’t clearly summarize in that space, the talk is too long. If your proposal is too broad, it’s great opportunity to split it up into multiple different talks! Also, remember that you’re not just telling the reviewers what the audience will get, you’re telling the audience why they should come to your talk. You’re selling both us and the audience in your talk description. If you feel like you have something to talk about, I really hope you submit a proposal. I can’t personally help folks with their proposals this year, but if you’d like help, please ask folks in the Gophers Slack for help.